p> * The search for living examples of animals taxonomically identified through fossil records, but which are believed to be extinct. * The search for animals that fall outside of taxonomic records due to a lack of empirical evidence, but for which anecdotal evidence exists in the form of myths, legends, or undocumented sightings. 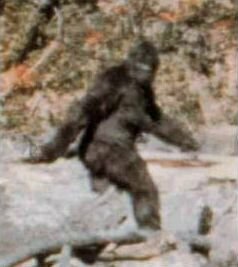 Those involved in cryptozoological study are known as cryptozoologists; the animals that they study are often referred to as "cryptids", a term coined by John Wall in 1983. Unconfirmed â€“ cryptids whose existence is alleged but not demonstrated. Disputed â€“ cryptids that have a body of evidence against their existence. Proposed [animal name] â€“ cryptids with an alternative explanation accepted by the general scientific community. Extinct â€“ animals that are generally believed to be extinct, but which cryptozoologists believe may have an extant relict population. Confirmed [animal name or cause] â€“ animals once classified as cryptids but whose existence has now been confirmed. Hoax â€“ cryptids once thought to be real but later conclusively proven to be hoaxes. The online resource for cryptozoology, cryptids, and other mysterious creatures. Cryptomundo is a unique blog all about the legendary bigfoot, Loch Ness Monster, and More. The ultimate online encyclopedia of monsters in myth, magick and legend. Lorencoleman.com brings you the Top 50 Cryptids From Around The World. Pibburns.com brings you this Cryptozoology page with lots of other links and resources. The Interview with Giants Series is one of our most successful series report publications and covers 41 interviews with key experts tackling every single aspect of the global government agenda including the UFO phenomena, the Identity of the Antichrist, Obama's new world order, Chemtrails, man made diseases, Codex Alimentarius, the 2012 end of the world debate, Secret Societies, the Mark of the Beast technology, the European Union, Project Bluebeam, the Jesuits, Stargates, Armageddon, Sustainable Development, Masonic undertones in popular music and so much more.